A Huntsville couple are putting good health at the fingertips of locals with a new business. 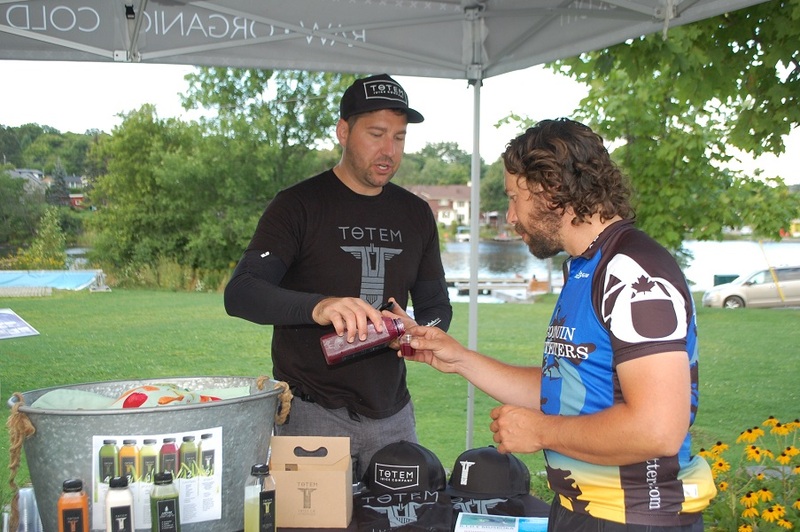 Brent and Rebecca Ellerson started Totem Juice Company after making a lifestyle change that they realized they could share with others. “Right around the time our son, Jack, was born, we realized we were mortal,” laughs Brent. “We needed to stick around for our kids and be good role models.” They had also just watched the documentary Forks Over Knives – a film that touts the health benefits of rejecting animal-based and processed foods – and were inspired by its message. Rebecca and Brent soon realized that they could sustainably do the same thing on a larger scale and a business idea was born. 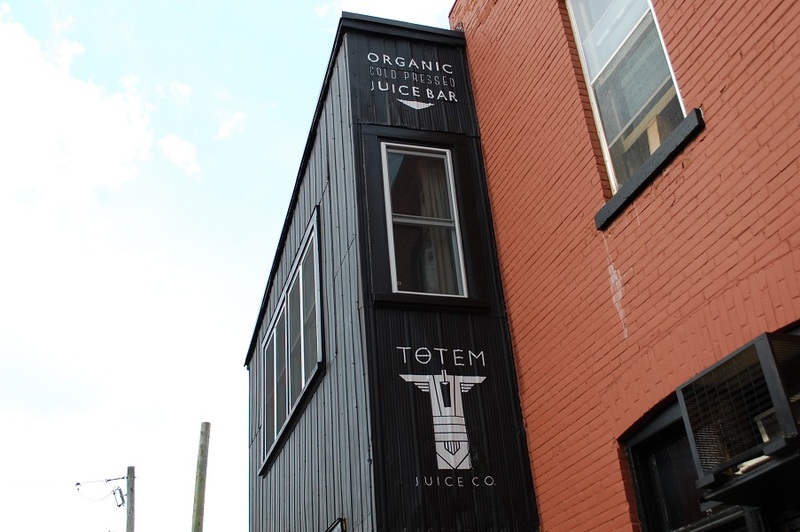 They developed flavours and built a juicer adjacent to the garden. They now buy their produce from The Spring Farm’s plot in season and juice 1500 pounds of it every week. The pulp – 700 to 800 pounds of it – is returned to the garden’s compost, often the same morning. It’s incredibly efficient, but it begs the question: what happens in the winter? 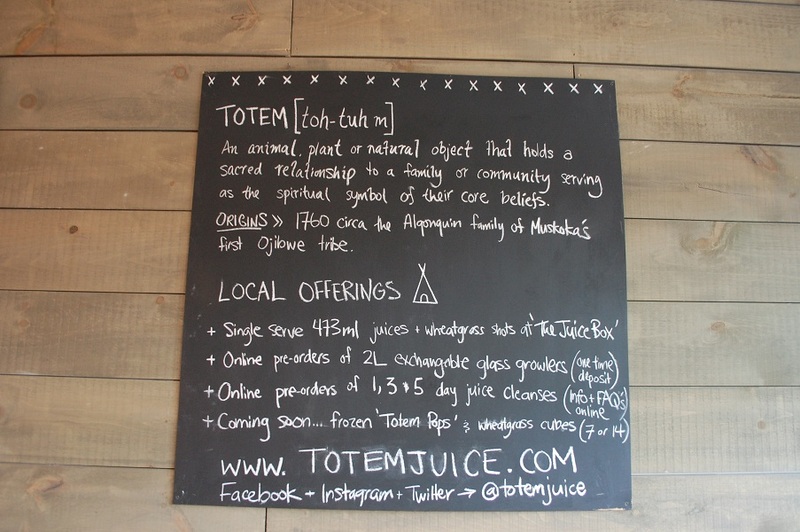 Every bottle of Totem Juice contains two-and-a-half pounds of produce. 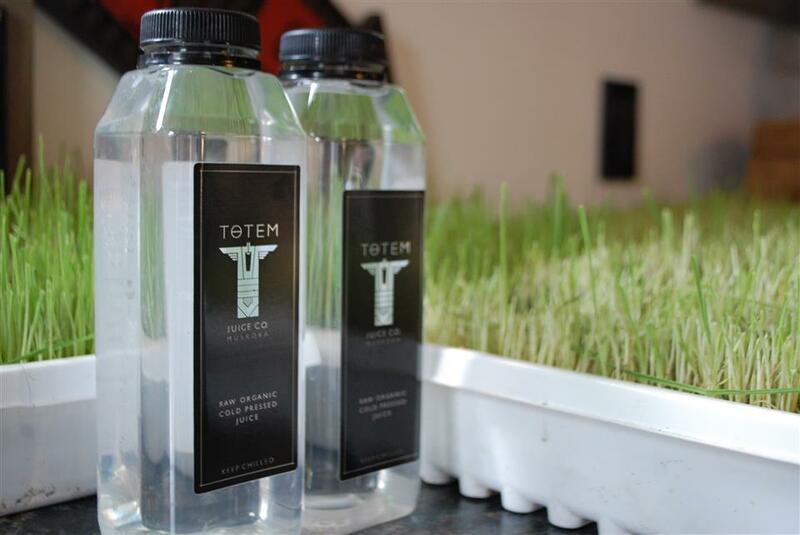 The equivalent of five or six good-sized salads – two-and-a-half pounds of produce – goes into every bottle of Totem juice. 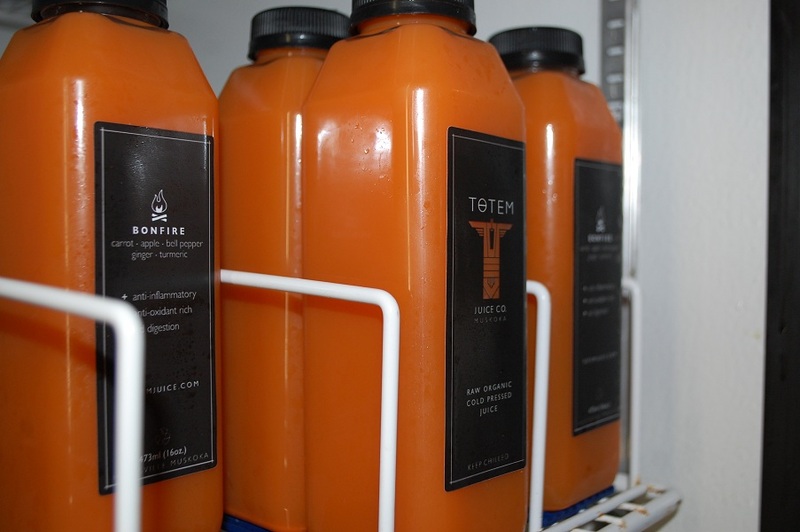 “You can get six to seven of your daily 10 servings of vegetables on the run.” It’s a concept that’s been well received by local shoppers to their juice bar behind The Great Vine on Huntsville’s Main Street. “I think the trust is gone in the big corporations,” says Brent. 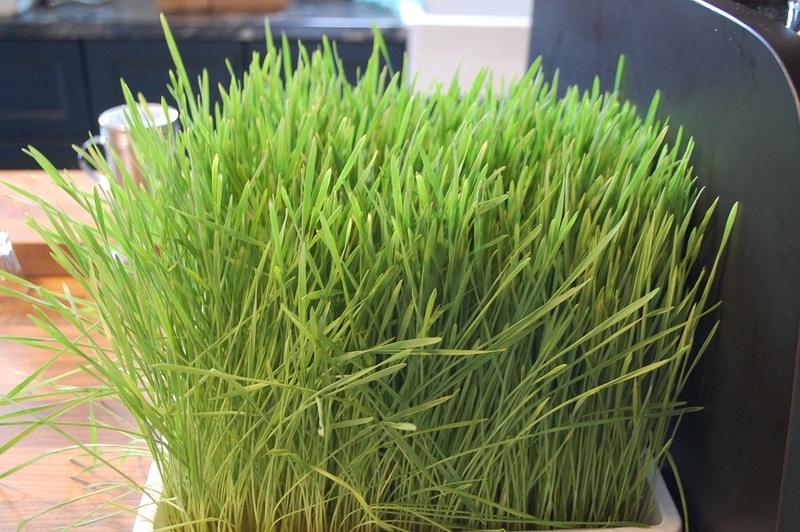 “People are turning back to conscious, reliable sources of food. You know the people you’re getting your food from that way and there are measures of control. You can ask questions – where did the beets come from, can I see them? Yes, you can. 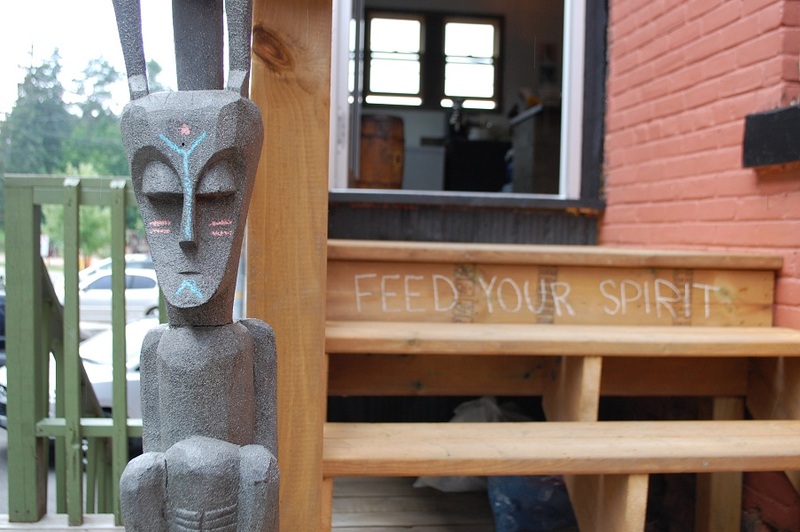 And we can even ask the farmer about the soil they grew in.” About 65 per cent of the company’s business comes from locals with the remaining 35 per cent comprised of cottagers and visitors to the area.